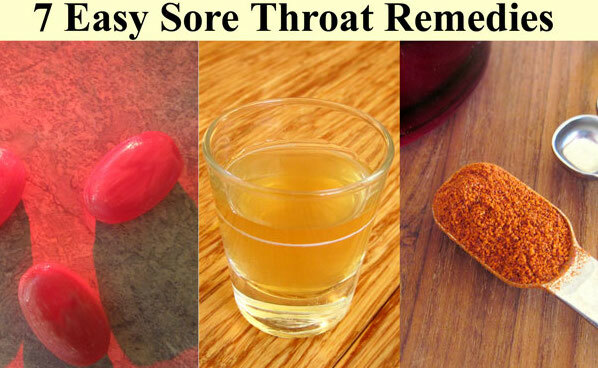 To help relieve a sore throat, try the tips below. However, see your doctor if you’re exposed to strep or have any of these signs or symptoms: fever, nausea, vomiting, swollen neck glands, difficulty breathing or swallowing, tonsils with pus, or severe pain that doesn’t improve in a few days. Being well-hydrated helps keep mucus thin and easy to clear. Mix about a teaspoon of salt with a glass of warm water to soothe and help clear your throat of mucus. These products stimulate secretion of saliva, which bathes and cleanses your throat. Over-the-counter analgesics may temporarily help relieve sore throat pain. If your sore throat involves an inflamed larynx, talking a lot may lead to more irritation and temporary loss of your voice. Adding moisture to the air prevents drying of mucous membranes and the resulting irritation. Don’t smoke. Avoid smoke-filled rooms and fumes from household cleaners or paint.